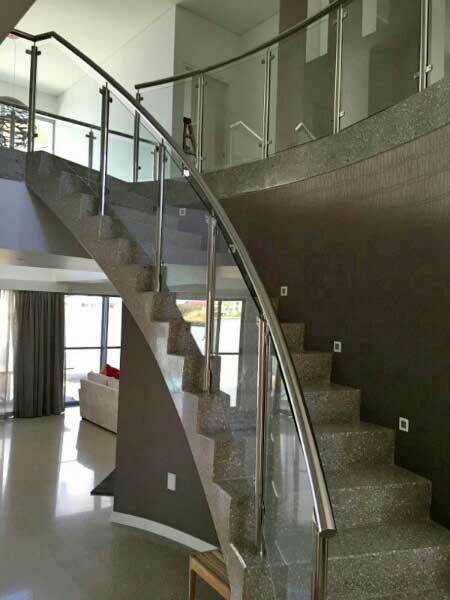 This Hope Island home was being constructed on the Nerang River and involved a lot of glass fencing and balustrades. 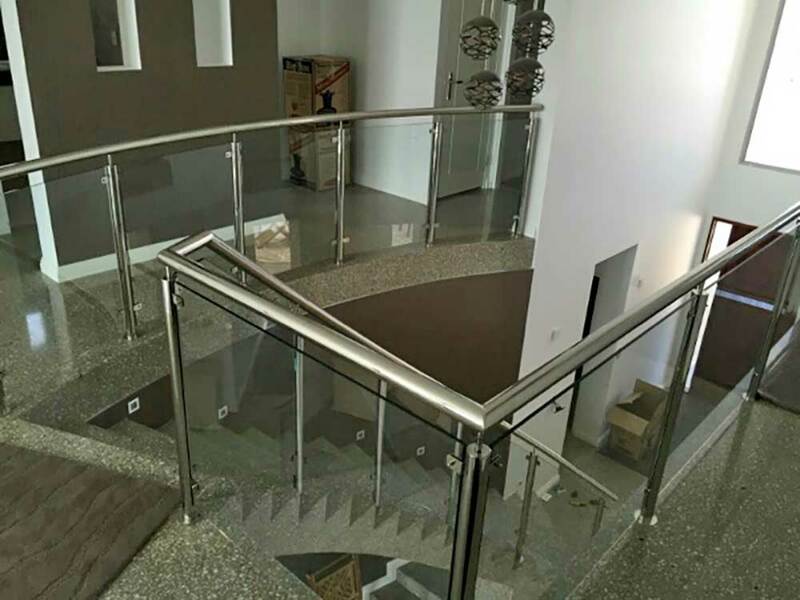 We supplied frameless glass pool fencing to pool and canal areas plus a beautiful curved stainless and glass balustrade to the feature polished concrete stair case and upper level void areas. The owner was after a statement piece for his entry and was ecstatic with the result.